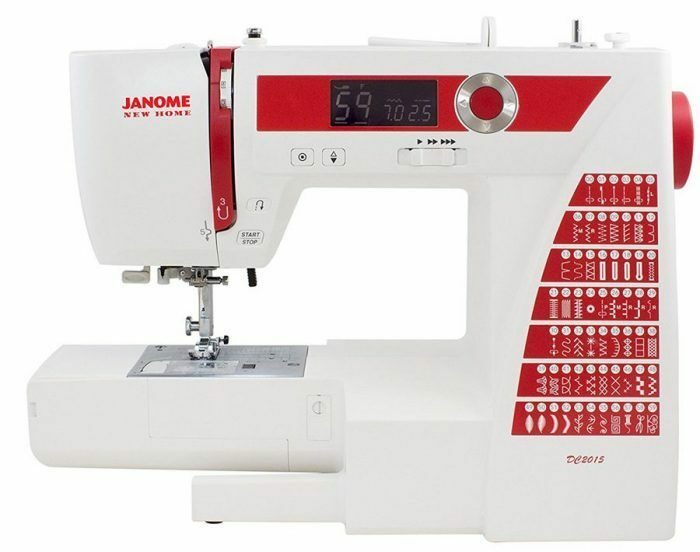 The Janome DC2015 is a simple, yet stylish easy to use machine. It is made to handle most household jobs with ease, but they can also be used for freehand embroidery and quilting as well. 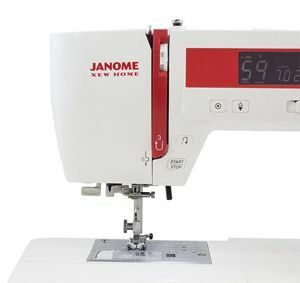 The Janome 2015 is a great little machine for my needs. This is a versatile sewing machine, but it comes in a compact and small package. It only weighs 6.5 kg and is made for the European market. The machine is designed to work with 220-240 volts rather than the US standard 110 volts. This is a great sewing machine for those that are just starting out sewing and do not need something that is as complicated as more expensive models. 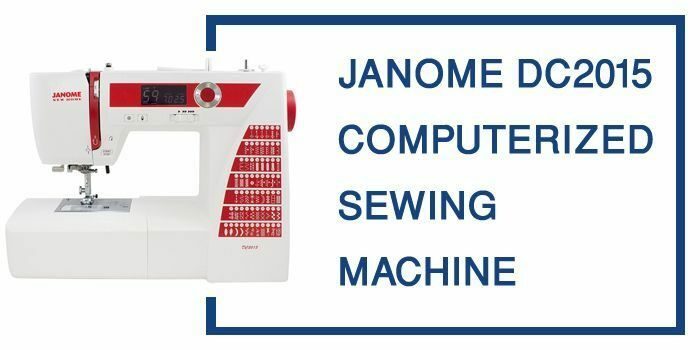 The Janome 2015 has all of the features that you would expect from a starter machine, but it also has a few extras. This means that you will get more life of it out of it as you expand your skills. 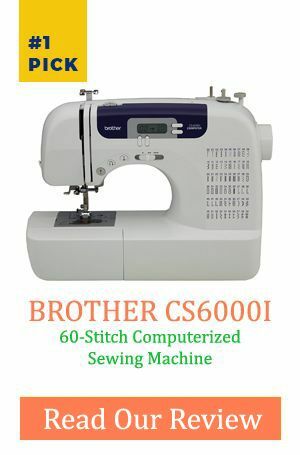 This machine is easy to use, so you can concentrate on skill development, and learning the basics of operating a sewing machine. 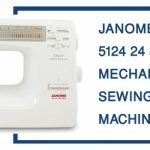 The Janome 2015 from has all of the most basic standard features that one would expect from a starter machine. It has 14 different stitches, a front-loading bobbin, and four auto buttonhole selections. It also can do stretch stitches and satin stitches. It comes with a zigzag foot, buttonhole foot, additional set of needles, and darning plate. It also comes with a dust cover. This machine is not heavy on accessories because it is designed to be inexpensive, with the beginner sewer in mind. It does not have a lot of automatic features such as automatic tensioning. You can see how these mechanisms work for the time when you ever decide to move up to a more expensive and complicated machine. Just because this machine is a small size machine and designed for the beginner, don’t think that it is not powerful enough to do what you ask it to do. In terms of power and quality craftsmanship, this machine is surprising for a machine in this price range. It is durable and stable. It does not walk at higher speeds and is still tough enough to take the rigors of daily use. Q. 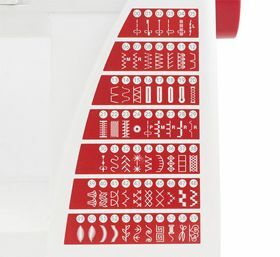 Does this machine have a memory for embroidery? A.This machine can do embroidery, but it does not have a large memory, as you machines that are designed for that type of work. Q. Can the machine sew in small spaces? A. The machine has a detachable table base that allows a portion of it to be removed and converted to a free arm machine. This allows you to get into small spaces to a certain degree. You can then simply snap the rest of the table back into place to have a wider work space and more support for larger pieces. Q. Who is this machine designed for? A. This machine is designed for those who are just starting out, who do a lot of repair work, and alterations, and those who do not need a complicated and expensive machine. This machine is a good little workhorse and will get you through almost anything that you need on a daily basis. It was surprisingly durable and powerful, yet all in a small package that is easy to maneuver and portable. It can easily be tucked away in a closet and then brought out when you need it. This is an excellent machine for the beginner sewer or someone who does not want to spend the money on a more complicated model. I would highly recommend this machine for beginner sewers, or those who do not sew on a regular basis.